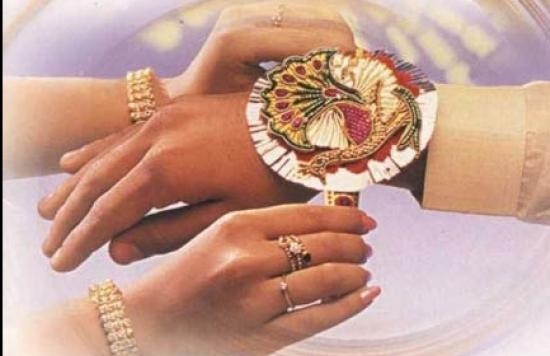 Why is the significance of Rakhi (Raksha Bandhan) reducing? India is a country of various religious and social practices. India has always been traditional in its approach. The Indian society is very well connected and family is an integral part of India’s social system. Joint family system is a tradition that is still followed in many parts of the country. When we talk of family we talk of a bond that people share with each other. This bond connects us even when we move apart. How this bond is created is by celebrating the significance of the relationship. For example the relationship of a brother and sister, this bond is celebrated with the festival of Rakhi. Rakhi is popularly known as the Raksha Bandhan across the country. It is a significant festival. Rakhi is celebrated on Purnima or full moon. It is an auspicious day. On this day the sister ties a Rakhi on the wrist of the brother. This string called Rakhi is very significant. The sisters tie the Rakhi so that the brothers are reminded that they must take the responsibility of the sister and protect her from all the wrong people. Rakhi is tied to both elder as well as the younger brothers. It can be tied even to people who are not related to you but you want them to become your brothers. The brothers and sisters exchange gifts on this day too. Generally the sister visits the house of the brothers in case the sister is married. Rakhi is celebrated all across the country today but it is more prominent in the North India. Many Rakhis are available in the market. Silver Rakhis are also common and some sisters prefer to buy silver amulates and bracelets for the brothers. Both the brother and sister must wear new clothes on this day. Offer a puja to the god. Then the rakhi is tied by the sister to the brother. The sister must light an earthen lamp or diya and do arti of the brother. The sisters pray to the god so that the brothers live healthy and the bond between the brother and sister remains strong forever. The sister applies a tilak on the forehead of the brother. The sisters make the brothers eat sweets. Even dry fruits are used for this purpose. The gifts are exchanged. The tradition is for the brothers to give gifts to the sisters. However, today women are independent and working so even sisters give gifts to the brother. Today Rakhi has become a huge day for doing business. Gifts and Rakhis are bought online and sent from the brother to the sister and vice versa. The retailers and the online stores make the most of this occasion every year. Sisters and brothers are miles away and sometimes they live in different countries too. In such cases online exchange of Rakhis and gifts seem to be the best solution. In various parts of the country the festival of Rakhi is celebrated in different ways. In Rajasthan there is a custom of tying Rakhi to the wife of the brother also. This rakhis are called Lumba Rakhi. The significance of this custom is that the sister in law is a person who takes care of the brother. The wellbeing of the sister in law is important for the health of the brother and the prosperity of the family. The day for Rakhi celebration is an auspicious day and many good things can be started on this day. In Shanti Niketan Rakhi is celebrated with a lot of enthusiasm to ensure that universal brotherhood is promoted. Rabindranath Tagore wanted to ensure that there is peace in the country as a result he promoted this festival a lot. We cannot say for sure how the tradition of Rakhi started. However, there is a mention of this festival in mythology as well as in history of India. As per mythology Indra once went on a fierce battle with King Bali. His wife wanted to protect him so that no evil could happen to him. She went to Lord Vishnu and asked for blessing. Lord Vishnu gave her a holy thread made of cotton. It was called the Raksha Bandhan. She tied it to the wrist of her husband Indra, Indra eventually defeated Bali. If we turn the pages of history we will find that women used to tie Rakhi to the kings and the soldiers going for war. They would tie these cotton threads hoping that this blessed thread will protect the men during the war. The men on whose wrist the Rakhi was tied would promise to their sisters that they would fight till the end to protect the honour of their sisters. Another popular mention of Rakhi can be found in the history of Rajasthan. Queen Karnavati had sent a Rakhi to Humayun asking him to come and help her kingdom from the attack of Bahadur Shah. Karnavati was a widow and she could not defend the kingdom. Humayun showed respect to the Rakhi and started his journey towards Chittor to fight Bahadur Shah. By the time Humayun reached Chittor the fort was occupied by Humayun and Rani Karnavati had performed Jauhar to protect her honour. Most of the schools and offices are open on this day as a result people are busy. We must ensure that we educate the new generation about the significance of this festival and why we must try to protect not only this but also the various other festivals that are associated with India. Today we live in a very fast world and we hardly have time for each other. The influence of the western culture is also very high on the Indian society this works against preserving and continuing the festivals. We must teach the next generation the significance of Rakhi so that they too appreciate and understand this festival. It is a day to celebrate the significance of family. Most of the families in India today opt for only one child. When there is only one child in the house obviously the celebration of Rakhi is not possible or almost impossible. The small size of the families is a common factor for the decrease in the Rakhi celebration. Many couples even prefer not to have a child at all as a result many kids do not even have cousins. Brothers and sisters today often live in different countries all together as a result they send online Rakhis. Sometimes they do not even do that. 26th August 2018 is Rakhi this year. It is a Sunday so it will be easier for people to celebrate this special day and also celebrate the bond of brother and sister. Perhaps we can use this festival and try to look beyond just a family. It can be used as a great way to celebrated universal brotherhood as pointed by Rabindranath Tagore. In 1905 when Bengal’s partition was on and many people were killed Tagore promoted Rakhi in Shanti Niketan. He also wrote songs for this special occasion. He wanted the Hindus and Muslims to tie Rakhi to each other and show to the world that Bengal was united and nothing could separate it. Today we live in a world that is torn apart by religion; there is so much violence all around us. If we need to create a peaceful world we can actually look at Rakhi from a new perspective all together and take the celebrations to a next level all together.